It has been estimated that 285 million people across the world spend every day coping with some visual impairment. There are a wide variety of treatments already on the market to treat mild visual impairments, but as of yet, no one has come up with the complete solution to cure total visual impairment or blindness. However, hope is on the horizon with an invention straight out of science fiction – the bionic eye. Bionic eyes, also referred to as retinal prosthesis systems, bridge the gap between the light that enters the eye and the optic nerve, which translate and communicate images to the brain. 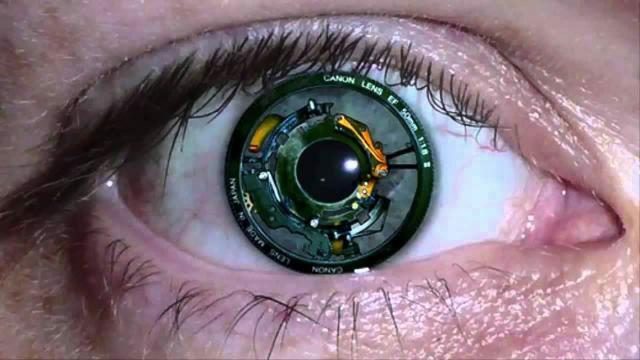 There is currently a bionic eye on the market in the United States. The FDA-approved device is called the Argus II and is manufactured by a company called second sight. It uses a camera, integrated into a pair of ordinary eyeglasses in conjunction with an implant on the surface of the eye that connects to the optic nerve. People who have used the Argus II have said that they are capable of viewing shadows and outlines of figures while using the device. While this innovation is impressive, it cannot be referred to as a ‘cure for blindness’ in the fullest sense. However, new developments by scientists in Australia have been making strides in improving this technology and claim that their new diamond electrode bionic eyes will allow users to perceive facial expressions and even read large-print texts. With these stunning inventions in the process of development, tech experts are already wondering where all of this could lead. It has been speculated that this new technology could allow human beings to develop bionic eyes that allow them to view the entire electromagnetic spectrum – including radio waves and gamma waves. Theoretically, this kind of technology would allow humans to see heat, identify different gasses on sight and potentially even develop X-ray vision. The potential implications for this kind of technology are huge. Use of hi-tech bionic eyes could lead to scientists being able to study microbes without cumbersome equipment, and it could allow soldiers in war zones to view mines and other potential dangers on sight without exhaustive searches. It could even make the long queues at airports a thing of the past as officers could simply look at passengers rather than subjecting them to invasive searches. These are only a few of the possibilities of this incredible technology that is bringing science fiction into the real world.